There is a densely wooded and highly atmospheric area of landscape to the south and west of Windermere which, to me, is quite distinct from other parts of the Lake District. I include in this description places such as Newby Bridge, Backbarrow, Lakeside and Finsthwaite, and I always enjoy spending time there. Stott Park Bobbin Mill is situated near the small village of Finsthwaite, just a short drive from Newby Bridge on the western shore of Windermere. 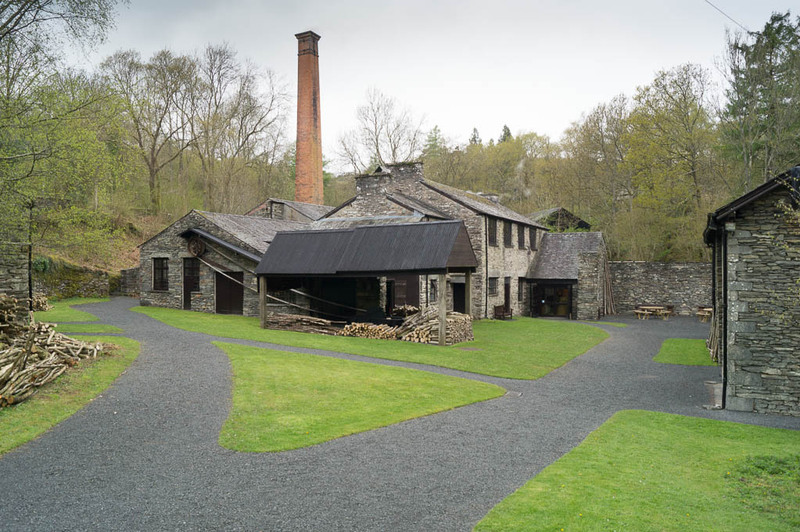 Now cared for by English Heritage, it was one of around 70 mills in the Lake District during the nineteenth century, and was built in 1835. 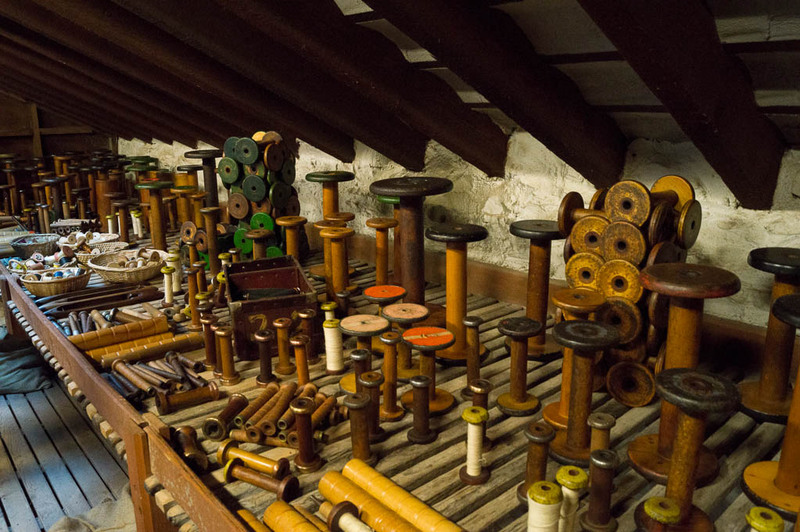 Incredibly, through diversifying in later years to produce products other than bobbins, the mill was one of the last to survive and finally closed in 1971. Eventually it was opened as a working museum in 1983. Appreciating the history of Stott Park means understanding the role of the surrounding woodland landscape in which it is situated, and the very close relationship that has taken place between humans and nature over the years. 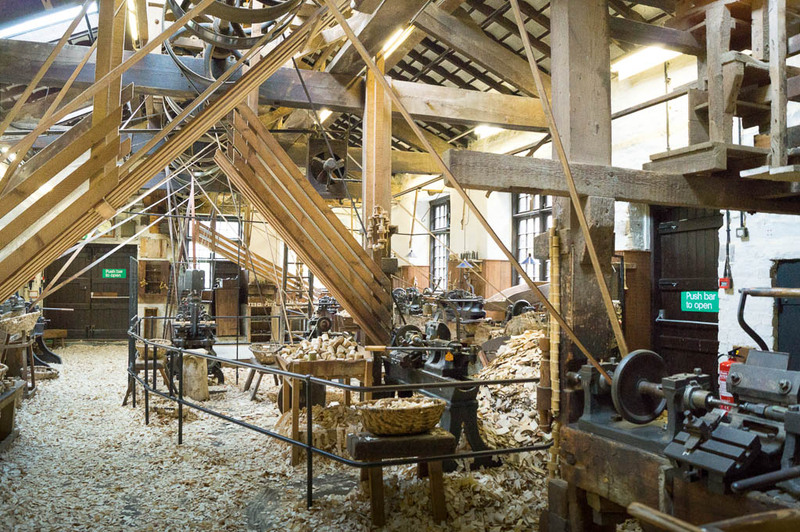 The mill was built in the valley both because of the availability of water to produce power, and the wood that could be extracted from coppiced woodlands. I recently took a tour of Stott Park on one of its recommended steam weekends. 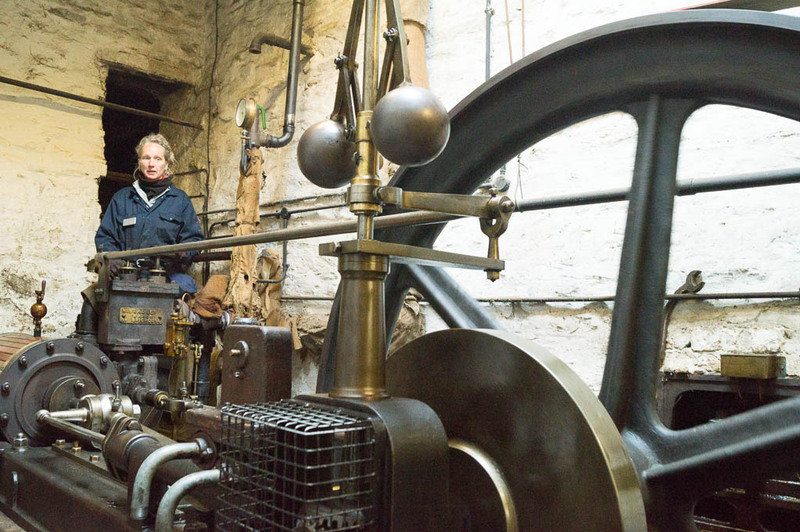 This is when the steam engine is powered up and brought to life, and it is well worth seeing. Tours take place hourly throughout the day and last around 45 minutes. 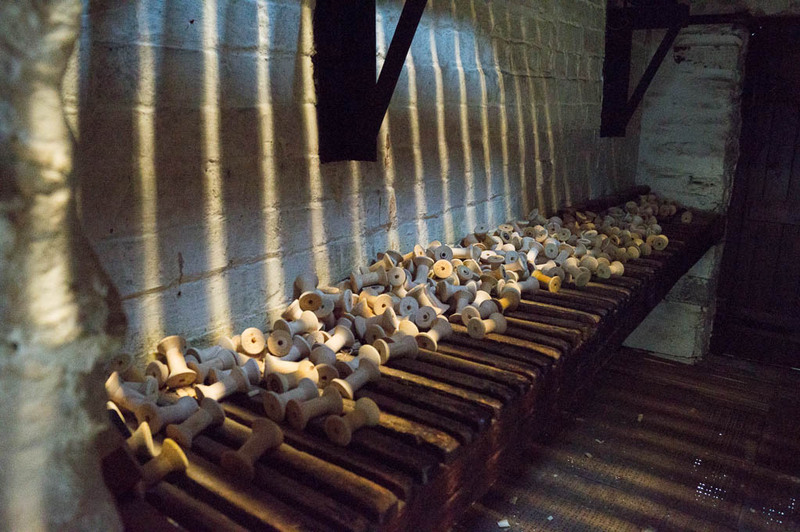 Stott Park was built to produce bobbins for the Lancashire cotton mills, and in fact supplied mills all over the UK and even other parts of the globe. 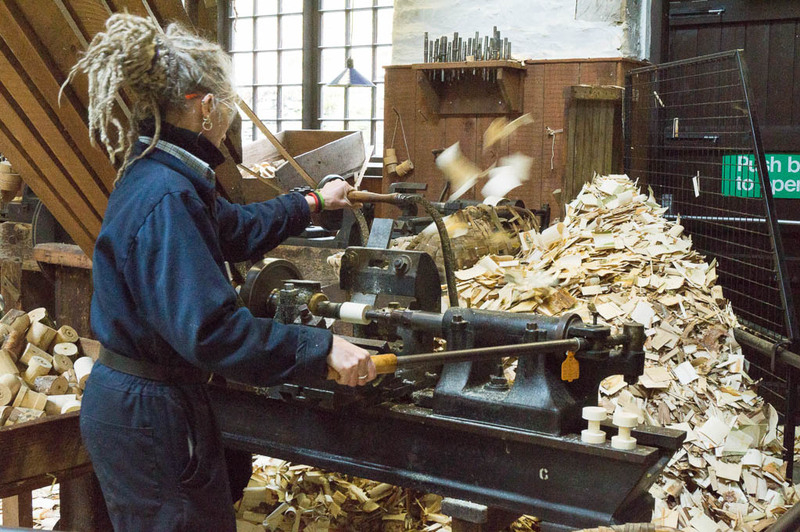 The wood was taken from local coppiced woodland (coppicing involves harvesting poles from a tree approximately every 12-20 years and allowing it to regrow), and the tour shows you each stage of the production process from branch to bobbin. 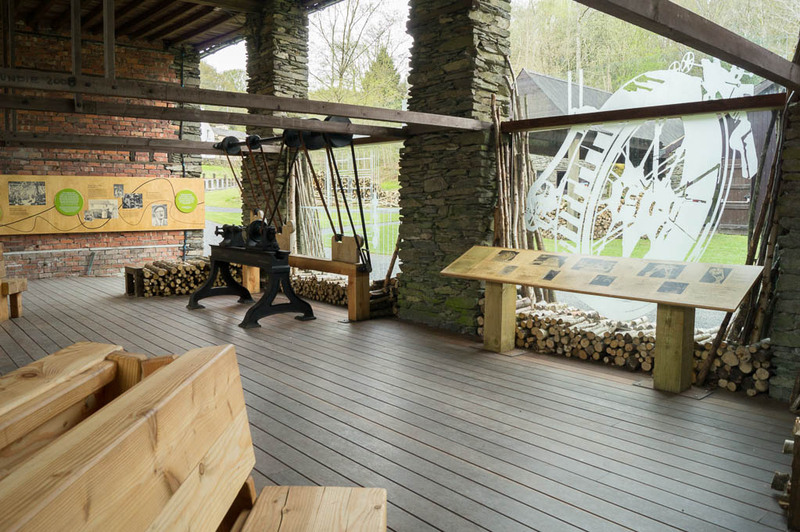 Stott Park Bobbin Mill has just won a silver award in the Small Visitor Attraction of the Year 2015 category at the VisitEngland Awards, which in my opinion really sums up the quality of experience you receive as a visitor here. 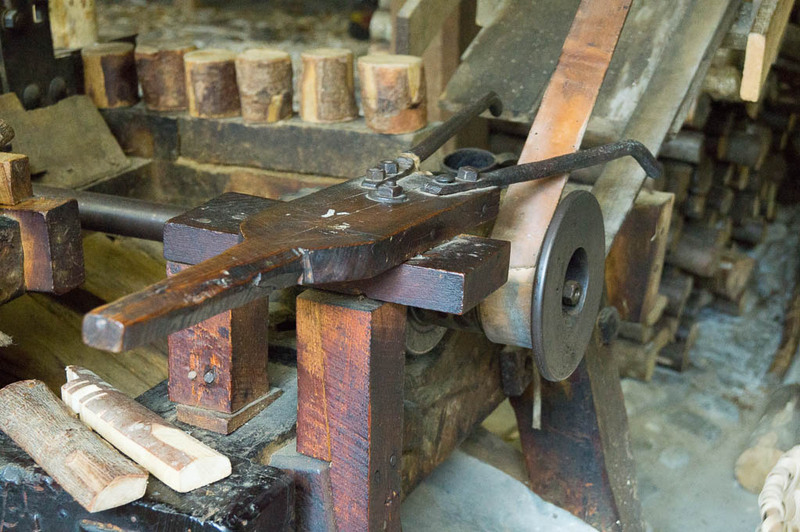 If, after visiting the mill, you’d like to spend the rest of the day nearby, there are plenty of other things to do, and learning more about the area really enhances your experience and sense of place. Stott Park has several picnic benches, so although there aren’t any café facilities on site (there is a hot drinks machine) there is a lovely area in which to enjoy a leisurely picnic with the family. There are also toilets in the outer buildings, and there is plenty of parking. If you’re in the mood for a walk, there are several that can be taken from Stott Park itself (just leave your car in the car park), and English Heritage produce a small series of maps (£2.50) to guide you. I would recommend the walk up to High Dam, which is 1.5km from the mill. High Dam is an artificial tarn which provided water for the mill, and you also first come across Low Dam, a smaller pond which is particularly tranquil. The path is very rocky and quite difficult in places and so sensible walking footwear is a must. There are also several great places to have lunch locally, including the Lakeside Hotel (with fabulous lake views from its conservatory and outside terrace), Oscar’s Café (overlooking the lake next to the Lakes Aquarium), The Swan Inn at The Swan Hotel, Newby Bridge, and Café Ambio at the Lakeland Motor Museum, Backbarrow (admittedly one of my favourite places to eat in the Lakes). 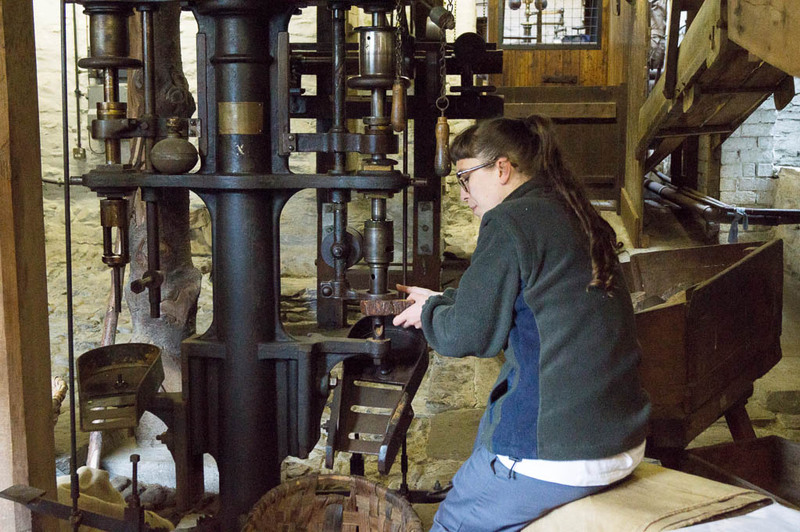 Stott Park’s steam engine runs every first weekend of the month (in summer) and on Bank Holidays, but even if you can’t make it to a steam weekend, you’ll still see the engine on the tour, and be treated to a full range of demonstrations on the lathes and bobbin mill equipment too. For further information on opening and tour times, visit the English Heritage website. 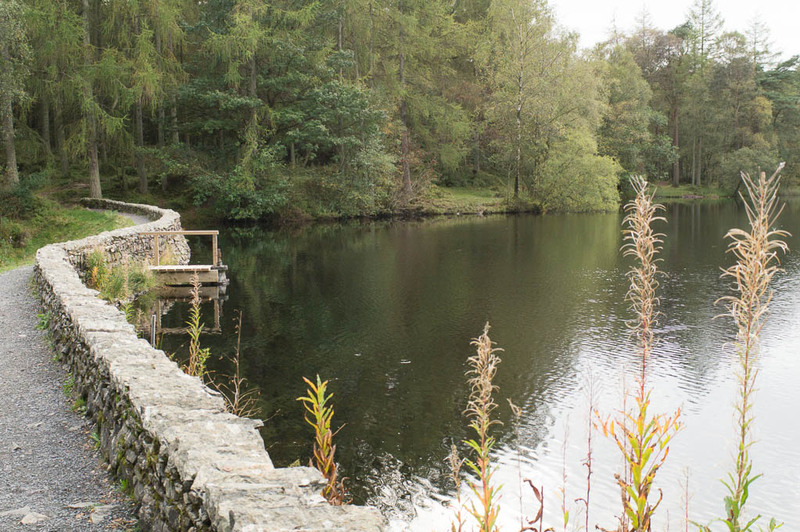 Have you visited Stott Park Bobbin Mill or taken the walk to High Dam? What did you think? Share your thoughts with us by leaving a comment below. Stott Park Bobbin Mill is quite possibly the only working mill of its kind left in the UK, and even the world, so I’d highly recommend a visit. What a wonderful article. 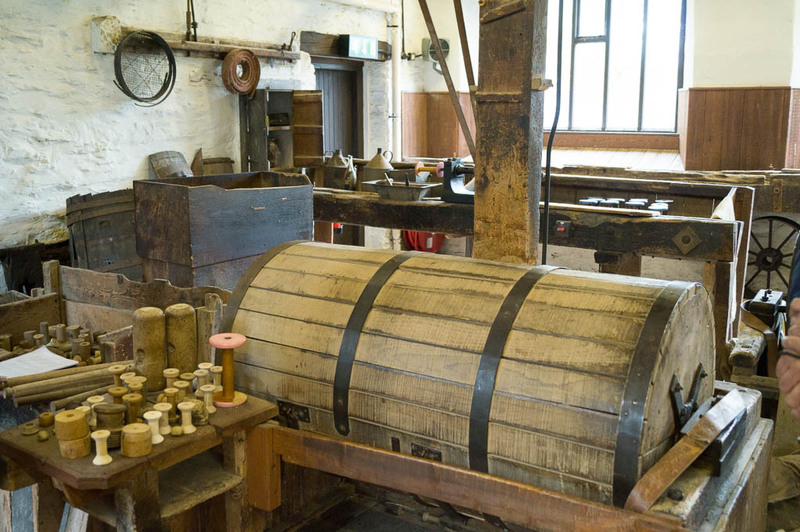 I have now put the mill on our itinerary for when we next visit the Lakes. I have an absolute love of photography and your photos are always a delight. I have recently subscribed to your blog and am having so much enjoyment from reading your beautiful posts, thank you. Thank you so much for your comment Angela – that’s really kind of you. Photography is very addictive, isn’t it?! If you do get chance to visit on a steam weekend, it’s lovely to see the steam engine working – it’s definitely worth a visit either way though.